Natural beauty and an eclectic culture are two very accurate descriptors of Redmond, Washington. From competitive cycling events to meandering bike trails and lively outdoor concerts; Redmond truly offers an unforgettable experience for locals and tourists alike. Living in Redmond is a true adventure, with loads of outdoor experiences, exciting activities and magnificent backdrops. Redmond is the ideal city for outdoor enthusiasts who love to spend time outdoors and take part in challenging activities that will not only keep them active, but experience this with friends and family. Experience the Magic! The So Bazaar Night Market is an imaginative platform for local artists, chefs and entertainers. It aims to promote downtown Redmond and occurs every Thursday night at the Redmond Central Connector Trail. It’s a race! K1 Speed takes go kart racing to the next level as this indoor cart is quite unique from other locations. There’s a whole new level of excitement here, with eco-friendly electric carts that offer superb performance, along with a fantastic entertainment venue. Feel like a night at the movies? iPic Theatres will make sure that you experience a whole new level of entertainment. Enjoy the Salt Lounge, offering the perfect art of mixology, and the Tanzy Express that gives you a professional chef-prepared grab & go meal. Fabulous Family Fun! Pine Lake Park is situated on the shores of Pine Lake and offers two playgrounds, a boat launch, a baseball field, swimming area and a fishing pier. It’s the perfect family outing in Redmond and you can enjoy a day of fun in the sun with the whole family. The residents of Redmond, Washington takes pride in their heritage and this can be experienced by any tourist or visitor. Redmond is known for its community pride, participation and pioneer resourcefulness, offering residents a truly unique experience. As of 2014, Redmond has a population just short of 55,000 people and most of these residents truly enjoy the magnificent outdoor surroundings and adventurous activities that are available. Craving some retail therapy? 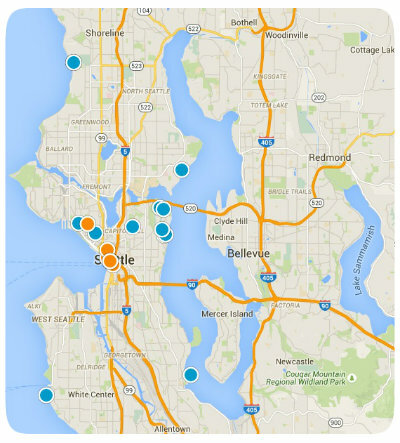 You can enjoy some of the best boutiques and shopping in Redmond, Washington. Residents can enjoy eclectic shopping opportunities. The Redmond Town Center offers over 110 shops, live theater, restaurants and world-class hotels – all in a wonderful outdoor setting. When you think of properties in the Redmond area you immediately envision stylish, traditional family homes with beautiful gardens and spacious features. With beautiful trails, rivers, parks and lakes in all the different directions, Redmond truly offers a blend of rural and suburban feel with close access to big-city employment opportunities. 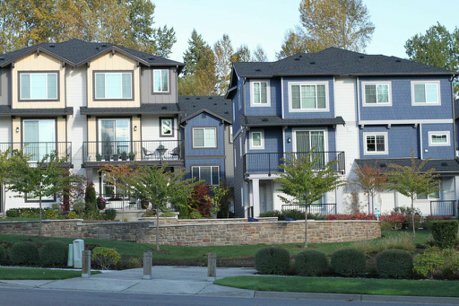 Bear Creek: This is one of the most diverse neighborhoods in Redmond in terms of land use. Located in the eastern part of the city, the name is derived from Bear Creek, a stream flowing through this popular neighborhood. Bear Creek spans 489 acres and is characterized by residential areas in the west and north, and resource land to the center. North Redmond: North Redmond finds itself within King County’s Urban Growth Area and also incorporated into King County. Although primarily residential, the area has several historic connections including an original 1909 homestead. North Redmond is served by trails and parks as well as large, open areas. Overlake Village: Overlake Village is seen as the largest employment center with a wide variety of land and office uses. The neighborhood is easily accessible from the SR-520 and the public transport service to Downtown Redmond, making it the perfect location to accommodate urban growth in the area. The city of Redmond offers a wide range of great seasonal opportunities, and this includes colorful community festivals and musical performances. But if you’re not into festivals or seasonal activities, you can enjoy the great selection of parks, trails, bicycling guides and more. Some of the more popular trails include the King County Trail, running 11 miles long and offering the best environment for cyclists, runners and walkers. Redmond’s mild climate makes all of these activities enjoyable several seasons of the year. Redmond has a booming infrastructure with multiple projects underway which aim to further improve this town for everyone. With an unemployment rate of less than 4%, this city offers promising opportunities for the skilled workforce. With many job opportunities listed, this is a promising move for families that want to settle in a magnificent area with great potential. Homes in Redmond are known for their spacious designs and beautiful finishes, making this a great investment opportunity for the modern home owner. There are also beautiful farm listings available which boast magnificent estates and majestic views. 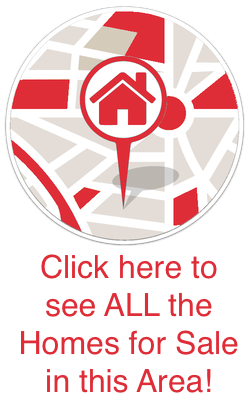 If you’d like to learn more about Redmond’s real estate market, check out our available listings!